Seven million people worldwide suffer from Parkinson's, and doctors, researchers, and patients continue to hunt for a cure. 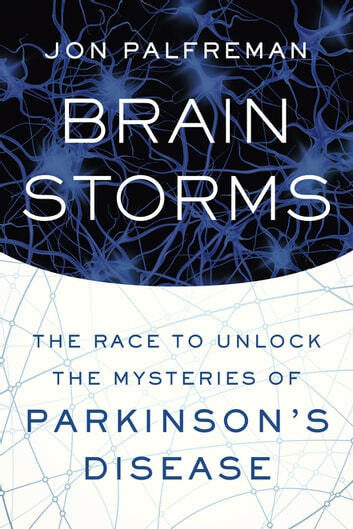 In Brain Storms, the award-winning journalist Jon Palfreman tells their story, a story that became his own when he was diagnosed with the debilitating illness. 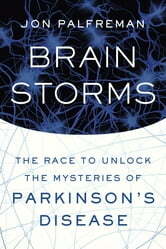 Palfreman chronicles how scientists have worked to crack the mystery of what was once called the shaking palsy, from the earliest clinical descriptions of tremors, gait freezing, and micrographia to the cutting edge of neuroscience, and charts the victories and setbacks of a massive international effort to best the disease. He takes us back to the late 1950s and the discovery of L-dopa. He delves into a number of other therapeutic approaches to this perplexing condition, from partial lobotomies and deep brain stimulation to neural grafting. And he shares inspiring stories of brave individuals living with Parkinson's, from a former professional ballet dancer who tricks her body to move freely again to a patient who cannot walk but astounds doctors when he is able to ride a bicycle with no trouble at all. With the baby boom generation beginning to retire and the population steadily aging, the race is on to discover a means to stop or reverse neurodegenerative conditions like Parkinson's and Alzheimer's. Brain Storms is the long-overdue, riveting, and deeply personal story of that race, and a passionate, insightful, and urgent look into the lives of those affected.